Home > Ideas & Tips > In Season > You’ve Waited Long Enough…Black Friday Starts At Midnight! You’ve Waited Long Enough…Black Friday Starts At Midnight! Love With Food’s Black Friday sale starts at midnight TONIGHT, which means you’re just a few hours away from incredible savings on all the scrumptious foodie gifts you could ever want! Check out our final hilarious preview below, watch the first and second trailers because you know you want to, and RSVP to the sale on Facebook! Wondering just what kind of deals you’ll get on Black Friday? –15% off ALL SUBSCRIPTIONS: Get or gift any plan for a great price! 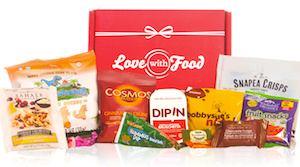 – Snacks with awesome Black Friday discounts in the Love With Food shop sale section! – 15% off your whole shop order when you spend over $100, using promo code TODAY15. 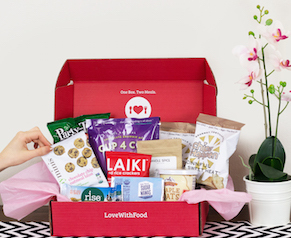 And you’ll be sent a special bonus snack box stuffed full of our staff favorites, like Dolcetto Wafer Bites, Popchips and GoOrganic Hard Candies! Or you can always buy the box for a special Black Friday price of $12.99 in the shop. -And remember, any purchase over $30 gets a two-year subscription to Rachael Ray Every Day Magazine AND a $100 gift!